I'm using MIDI keyboard with an external software synthesizer that runs on a computer. I want to make it sound like a grand piano. I want something like this. This example shows that it's possible to synthesize very nice grand piano sound in software, while all that i've tried resulted into "chirping" sounds more like the ones of an upright piano. Can you recommend some synthesis software / synthesizer parameters / soundfonts / ... to synthesize grand piano sound like the one in referenced video? 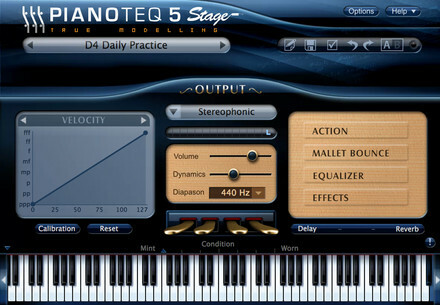 Try Pianoteq Stage for Mac or Windows. It is exactly what you want. It costs €99 or US $129. Using a physical-modeling synthesizer, not samples, it really sounds like a grand piano -- in fact, you can choose between several different kinds of grand pianos. You can download a free trial version. If you buy the more expensive Pianoteq Standard or Pianoteq Pro products, they permit you to modify many parameters of the piano sound to tailor the sound to your needs. I must stress, though, Pianoteq is a very specialized product -- a uniquely-designed digital synthesizer built from the ground up to emulate piano sounds, with a proprietary design. You can't make a convincing acoustic grand piano sound by manipulating parameters in any other kind of general-purpose synthesizer, in hardware or software. The Roland and Yamaha companies each make a hardware synthesizer-keyboard (called a "virtual piano") that emulates an acoustic piano without using samples, like what Pianoteq does. But these particular Roland and Yamaha keyboards cost US$6,000 and up. Pianoteq runs on just about any Mac or Windows computer (Linux, too) and it's quite affordable. Unlike grand-piano sample-based virtual instruments, it doesn't require gigabytes of hard drive space, a large amount of RAM, or a really fast computer to work correctly. Wheat's answer (Pianoteq) is certainly the best in terms of a high-quality commercial solution. I've known people to tweak parameters in that (seemingly endlessly!) to get exactly the piano sound they want. As an alternative, I tend to worry less about quality, and just use free soundfonts, which are sample-based. I have several, but the only one whose name sticks in my mind at the moment (and which contains a decent sounding grand) is "pianissimum.sf2". Depending on what you're looking for, something like this might be acceptable. He's doing what you want. He's using Virtual Studio Technology. So, he has a VST host installed on his computer that he can use to play VST plugin instruments. The VSTi you can hear in the video is the free CVPiano by TASCAM, which is based on a Kawai grand piano. This and other VSTi's are available from sites such as VST4Free. Physispiano.com We sell these in our store, totally scratch built modeled piano sound, user programmable. I tune pianos for a living, these are the best. Takes a some hours to get it just the way you want using the software, (you get to customize every aspect) but the digital strings produce the ambience of real strings. Synth programmers always tried to synthesize a piano sound, but they effectively gave up. 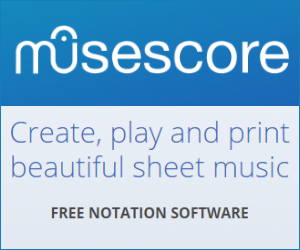 Nowadays any piano sound that you hear coming from a software or hardware synthesizer is sampled (meaning: recorded note by note) from a real piano. Not the answer you're looking for? Browse other questions tagged piano synthesizer or ask your own question. MIDI: How do I refer to (and search for) software that will play audio from a MIDI piano? Why does a grand piano nearly always sound better than an upright piano? How can I make videos of myself playing my keyboard? How do I play a MIDI file into a MIDI channel?